Libby on the Label: #52 Ancestors Week 13 - "The Old Homestead"
#52 Ancestors Week 13 - "The Old Homestead"
It's a mixed bag to discover that your ancestors were colonists in the New World. Their resilience, innovation and can-do attitude is something to be very proud of. The courage it must have taken to leave the comforts of home and get on a ship headed to the wilderness is remarkable. The flip side is that colonial America wasn't some new uninhabited world. There were thriving cultures of First Nation people who had been living on the land for centuries. This Old Homestead story is about generations of people who lived in the same house for over 300 years. I was surprised to learn that my ancestors were some of the first white settlers in America. I always thought we came from the UK to Canada. As it turns out, many branches of my tree were Loyalists. They emigrated to Canada during the Revolutionary War. I grew up in a suburb of Washington D.C., and the history of the 13 colonies was always a favourite subject in school. Being so close to historical places, we often went on class field trips to towns like Jamestown, Colonial Williamsburg and Harper's Ferry . I had no idea that my family history went back to colonial New England. There were so many marriages and children it's difficult to follow who goes with whom. I'm pretty sure that John Crandall is my 8th great grandfather, I have at least 5 DNA matches to his daughter, Sarah Crandall and over 10 to her husband, Peter Button.The missing link is the Loyalist, Major John Button. I don't have birth, marriage or solid records documenting his life in America, but I'm working on it.🕵There are other clues that the Major belongs with the Buttons who are descendants of Sarah Crandall and Peter Button, including some pretty specific naming patterns. Elder John Crandall's homestead was built in 1665, it's 1411 square feet with 3 bedrooms and one bath. The lot size is 4,724,953 square feet. Here is a photo of how it looks today. I don't know who took the photos. I did some research and found out more about the history of the house. 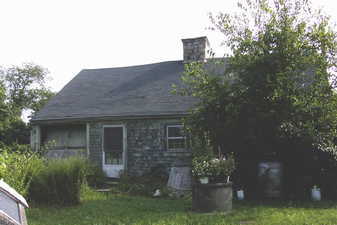 The Crandall homestead stayed in the family for 332 years until owners Irving and Arlene Crandall, gave back their land to the Narragansett tribe of Rhode Island in 1991. They had been unable to pay the overdue taxes of $5,500 annually. The 350 acres was estimated to be worth $1.37 million dollars in 1991. 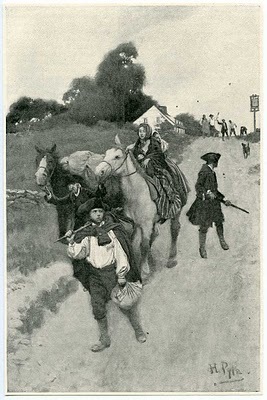 Their move thwarted the City of Westerly's threat to seize the land. It also stopped speculators who hoped to make a fortune in development. 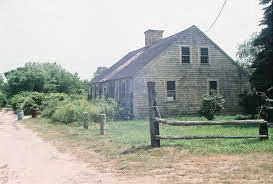 The Narragansetts agreed to pay all back taxes.The written agreement also allowed the couple and any heirs they choose to live on the homestead for life. John Brown, a Narragansett tribal council member said, "This whole thing kind of renewed my faith in mankind. It has now come full circle. My people gave this land to the original Crandalls as a gesture of good will, and now it has been returned to us in the same spirit." He said tribal records show that Elder John Crandall got the land from the Narragansett in 1659, and it was re-granted to his heirs through a signed deed in 1732 out of gratitude for their friendship and help. He said the good relations between the family and the Narragansett continued through successive generations. Arlene and Irving got a great sense of satisfaction after all the years of feeling the pressure from the town of Westerly for unpaid taxes. They didn't have any children. Irving Crandall passed away on May 17, 2015 at age 94. He was the proprietor of Crandall's Junkyard until his retirement. 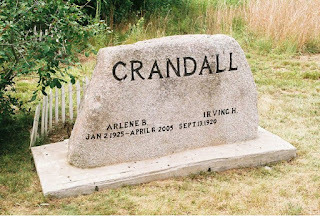 He joined his wife Arlene Bliven Crandall who died on April 5, 2005 at age 80. They are both buried in the Old Crandall Cemetery on the property. Wow! What a great story. I love the way they beat the authorities at their own game. It is wonderful that this land continues to live on as it has for hundreds of years without the threat of development. Thank you for sharing. They're modern day heroes aren't they! Hello fellow Elder John descendant! Thanks for this wonderful information about what happened to the Crandall property. I'm so glad it went to the tribe and not the town. Me too! 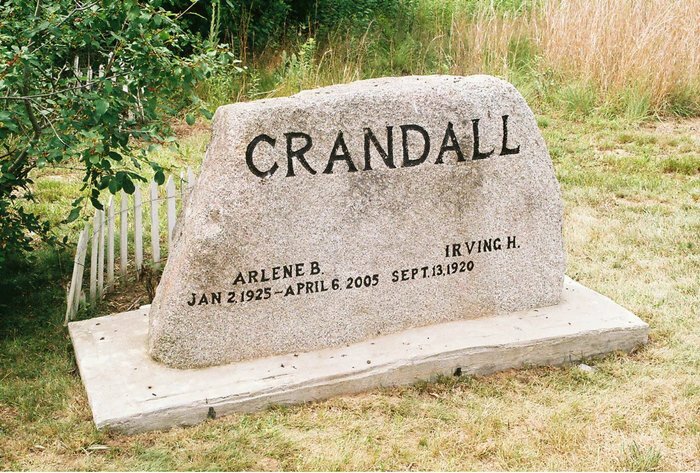 I hope the tribe does something to keep the Crandall story alive. Such a wonderful thing to do! Well done Arlene and Irving. Great story and research Libby.